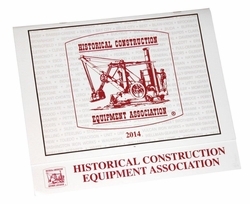 The 2014 calendar features 12 beautiful black and white photographs of construction, dredging, and surface mining equipment from the early and mid-1900's. These wonderful pictures are never out of date! All proceeds go to support the HCEA.